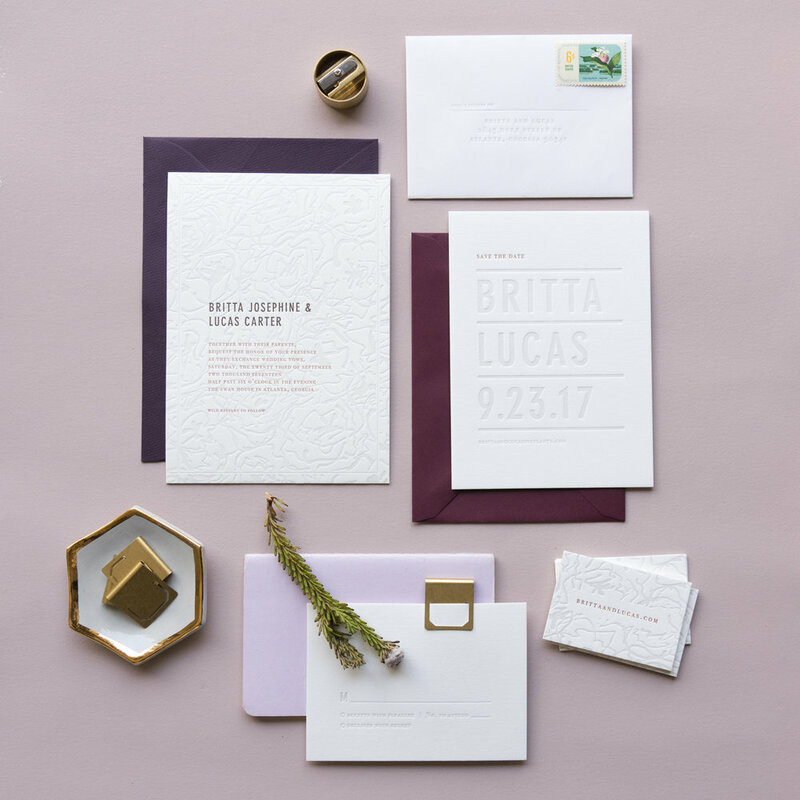 This letterpress wedding invitation is romantic, timeless & modern. 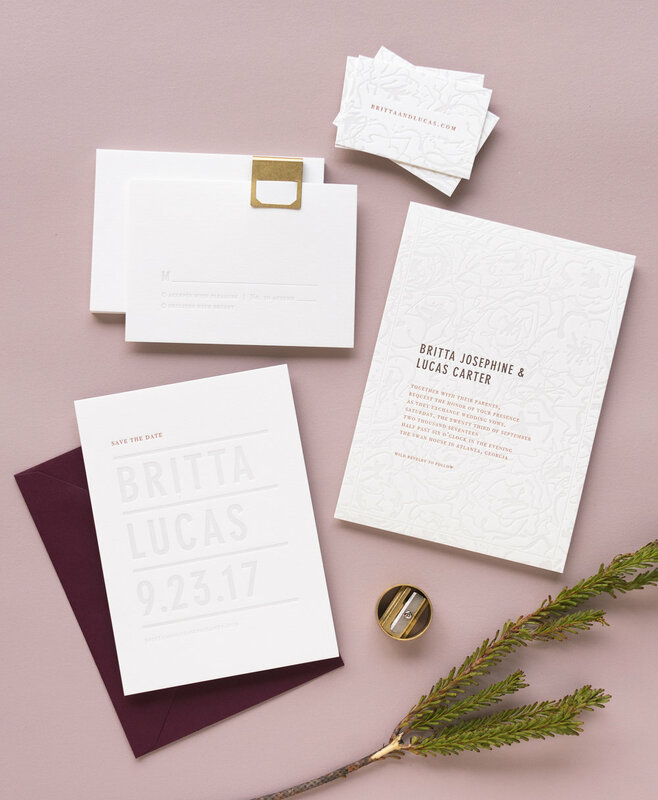 Low contrast printing and floral suite is subtle, delicate and beautiful. 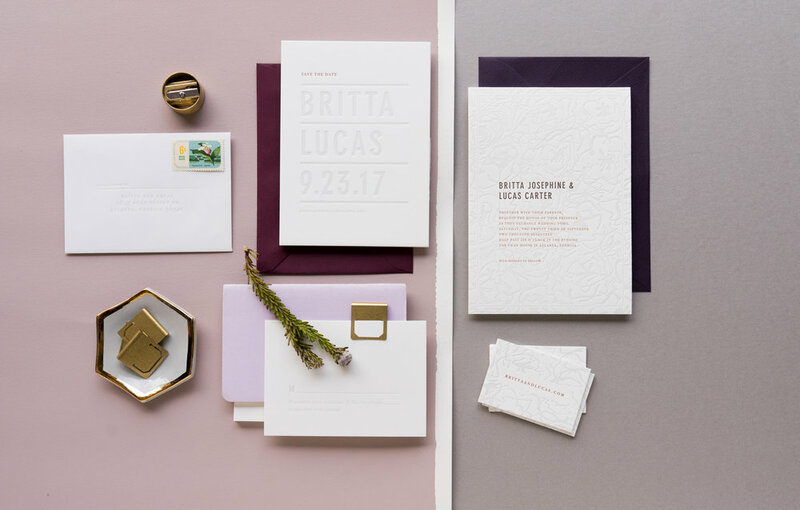 The perfect statement, for a romantic wedding anytime of year.